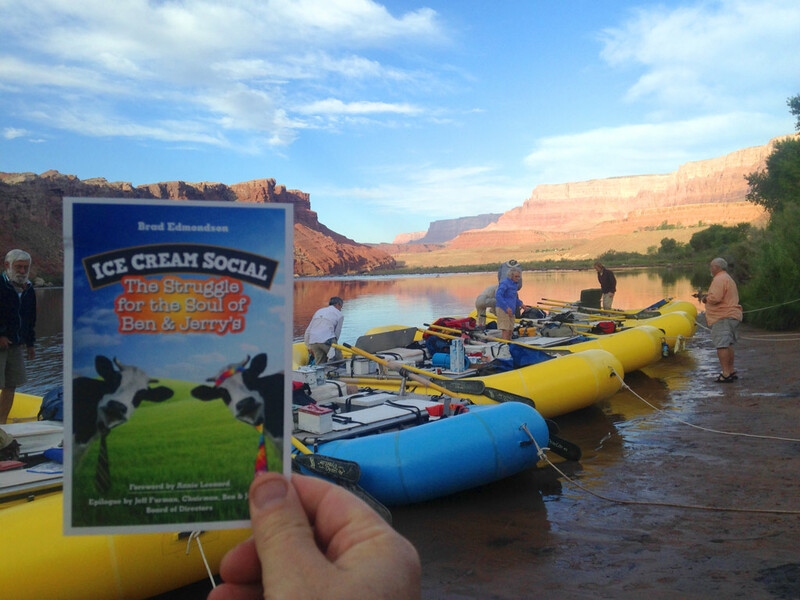 Ice Cream Social is pushing off from Lee’s Ferry this morning, the first day of a long floating book tour of the Grand Canyon. Brad will talk about corporate social responsibility with coyotes and ring-tailed cats. He will explore the possibilities for ethical sourcing with beery river guides. He also plans to leave brightly-colored postcards at important archeological sites. Just kidding about that last one. Unfortunately, the boss of the expedition won’t allow anyone near the satellite phone unless there is an “emergency,” and he says that blog posts don’t qualify. So it’s back to pencil and paper for a couple of weeks. Brad will muck out the in-box on July 1. You might try dropping a postcard to Brad c/o General Delivery, Phantom Ranch, N. Kaibab Trail, Grand Canyon Village, AZ 86052. If the mule brings it down in time, he’ll get it.